Dedicated to what is arguably the greatest religion of our time, cardiology competition. 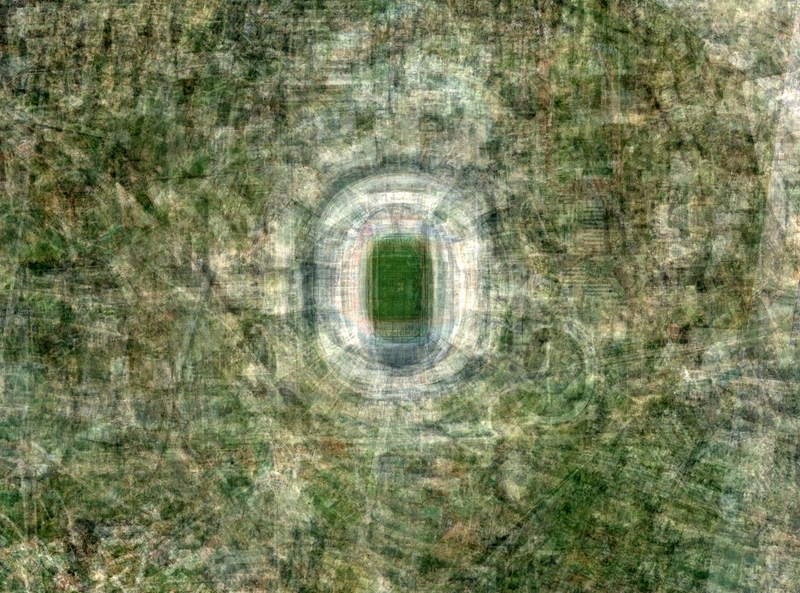 Satelite photographs of the world’s fifteen largest stadia, super-imposed, aligned and merged into a single image. The first piece from the ‘Testament Stadia’ series.